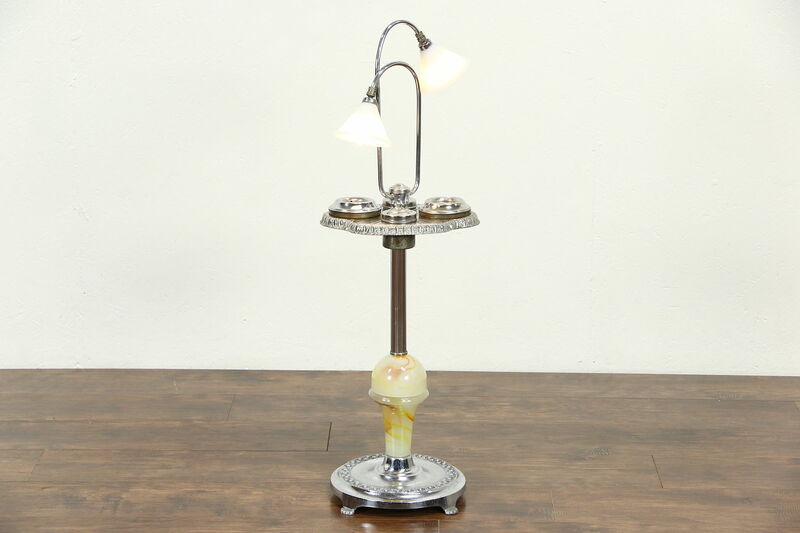 An Art Deco smoking stand from about 1935 is nickel with a "slag" stained glass base and lamps above. Lights have been rewired and have milk glass shades that appear original. Swivel trap doors on the ashtrays have some corrosion, see photos. Covered jars held cigarettes, tobacco or matches on this American made vintage furniture. Measurements are 12" across, 11" deep and 38" tall.